Say yes to becoming a Yoga Teacher Trainer in the UK. Elite Pilates & Yoga Services teacher training Course, has arrived in Devon. Secure your future, and help others get fit and flexible through Yoga. Gain a recognized qualification, with our YMCA Level 3 Diploma Yoga Course, based on Hatha Yoga. This qualification will enable you to teach group classes or one-2-one private sessions. Through us you will gain knowledge in #asanas (positions or poses), pranayama (control of the breath), Mudras (gestures – mainly with the hands), as well as meditation. You will also cover some fitness related anatomy & physiology. 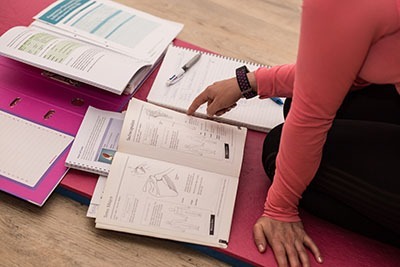 Beginning out on the road to becoming a Yoga (or Pilates) teacher is a rewarding challenge for anyone with a desire to help others to grow, develop and reach their full potential. Yoga Teacher Training Situated Newton Abbot South Devon – South West UK click here for directions and to contact us. IT ONLY TAKES 5 SECONDS! !